SunMoon Band is a great little app for the Microsoft Band that shows the sunrise, sunset, moonrise, moonset and moon phase at your current location. The app runs Windows Phone and refreshes the tile on the Band, it automaticity changes the data dependent on your time zone and location. 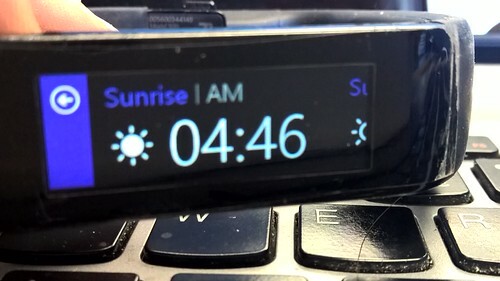 The app has been updated adding support for the new Microsoft Band 2 so you can get the sunrise time on your new Band. It’s simple and free app for the Microsoft Band from the Windows Store.